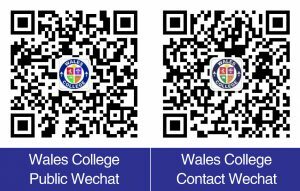 Please scan the following Wechat: walescollege to contact us through Wechat. 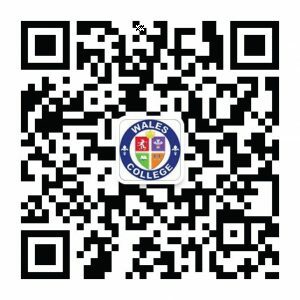 Please scan the following our public Wechat: Walescollege_Canada to know more about school. 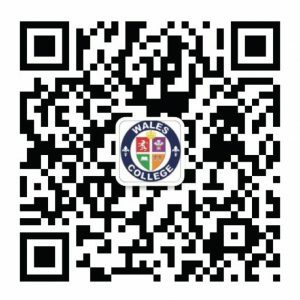 Wales College is located at 56 Redlea Avenue, Toronto, Ontario. The closest major intersection to the school is at Kennedy Road and Steeles Avenue.  Highway 401 which runs east-west across Toronto and is south of Wales College. Kennedy Road can be accessed from this highway. 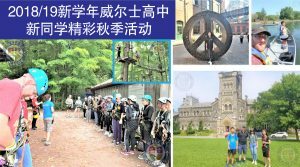  Don Valley Parkway / Highway 404 which runs north-south through Toronto and is west of Wales College. Steeles Avenue can be accessed from this highway.  Highway 407 which runs east-west north of Toronto and Wales College. Kennedy Road can be accessed from this highway. Traveling to Wales College from the south – Take the number 43 bus north along Kennedy Road and get off at Kennedy and Steeles. Redlea Avenue is 200 meters east of Kennedy Road. The number 43 bus runs north-south along Kennedy Road from Kennedy station and Steels Avenue. Traveling to Wales College from the north – Take the number 8 YRT bus south along Kennedy Road and get off at Kennedy and Steeles. Redlea Avenue is 200 meters east of Kennedy Road. The number 8 bus runs north-south along Kennedy Road from Major Mackenzie Drive and Steeles Avenue. Traveling to Wales College from the east – Take the number 53 bus west along Steeles Avenue and get off at Kennedy and Steeles. Redlea Avenue is 200 meters east of Kennedy Road. The number 53 bus runs east along Steeles Avenue from Morningside Road to Finch Station. 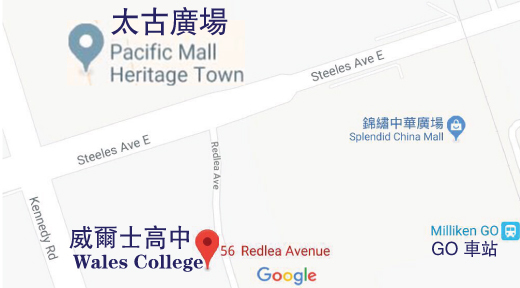 Traveling to Wales College from the west – Take the number 53 bus east along Steeles Avenue and get off at Steeles and Redlea Avenue. The number 53 bus runs east along Steeles Avenue from Finch Station to Morningside Drive. Students coming to Wales College via the subway should get off at Yonge and Finch station and transfer to the 53 bus. Take the number 53 bus east along Steeles Avenue and get off at Steeles and Redlea Avenue. The school is also accessible by GO Train. The school is located at only a 5 minute walk from Milliken GO Train Station which is on the Toronto-Stouffville Line.